When I hear the name "Shelby GT-500", my brain brings up images of "Elenor" from the 2000 remake of H.B. Halicki's "Gone in Sixty Seconds", a custom 1967 Mustang Fastback. 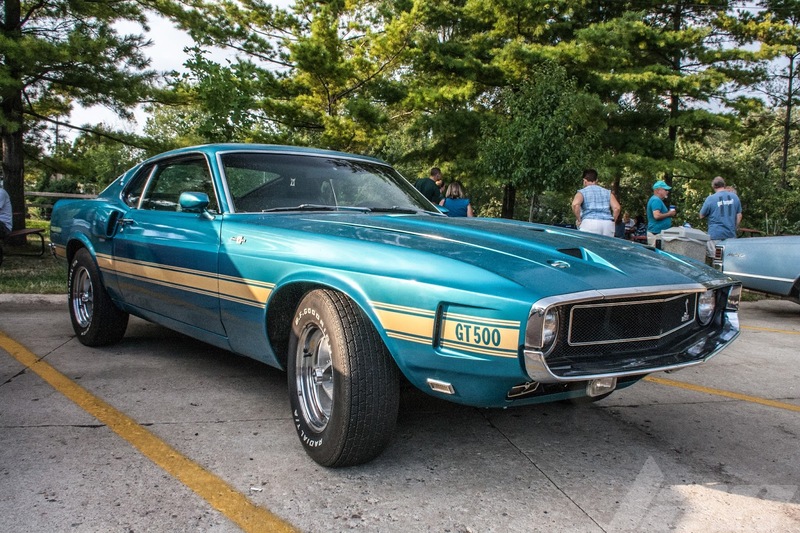 When I was at the Olympic Broil car meet on Tuesday night, I saw this GT500, and, honestly, thought it was an AMC Javelin or something else. As I got closer, I saw the GT-500 graphics. 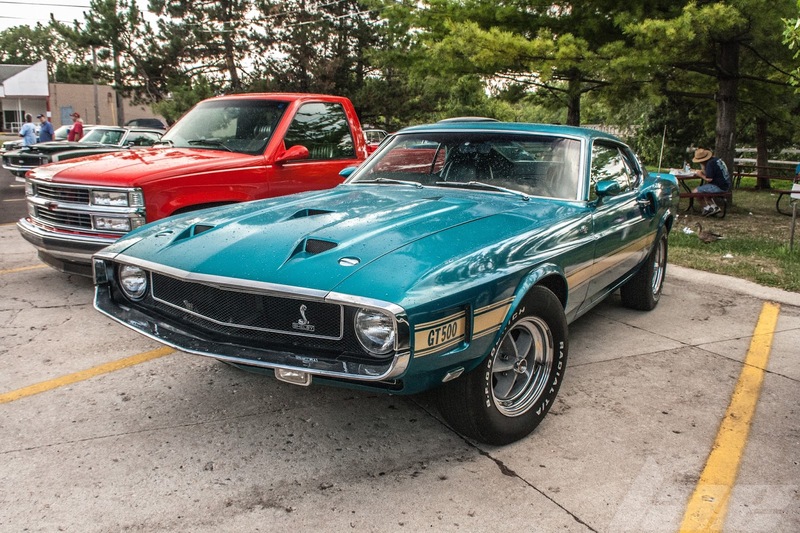 As far as I can remember, this is the first '70 GT-500 I've ever seen. And now, after seeing this example...I'm a fan. This logo here usually represents a special car. 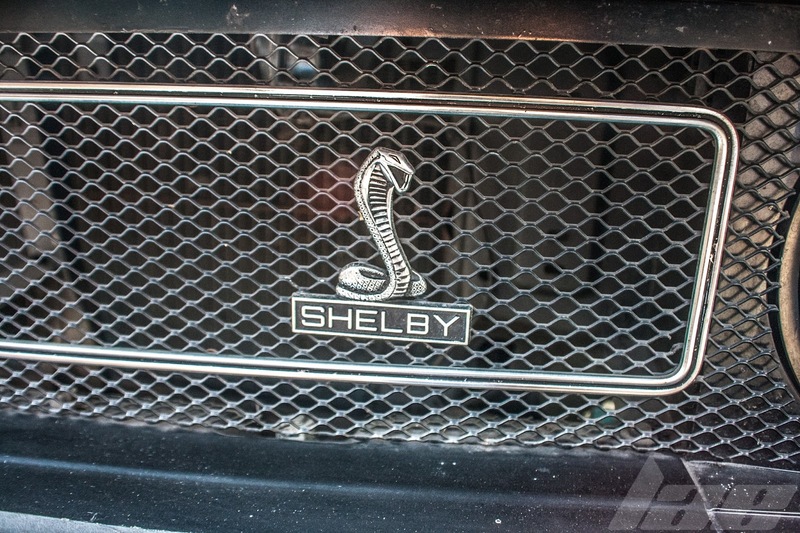 I've never had the opportunity to drive, or even ride in, a Shelby Mustang. But, I'd love to have a go. The rear end of this car is a bit different from other Mustangs I was more familiar with. 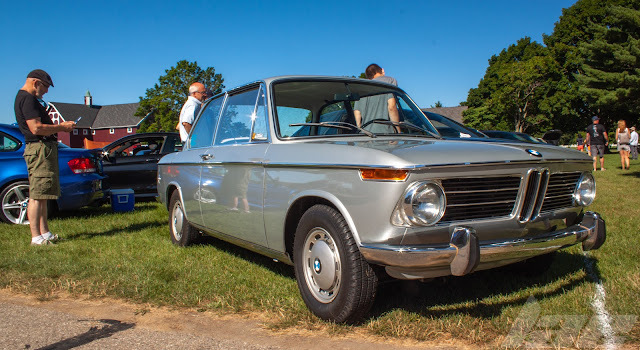 I really like the center exhaust on this car. 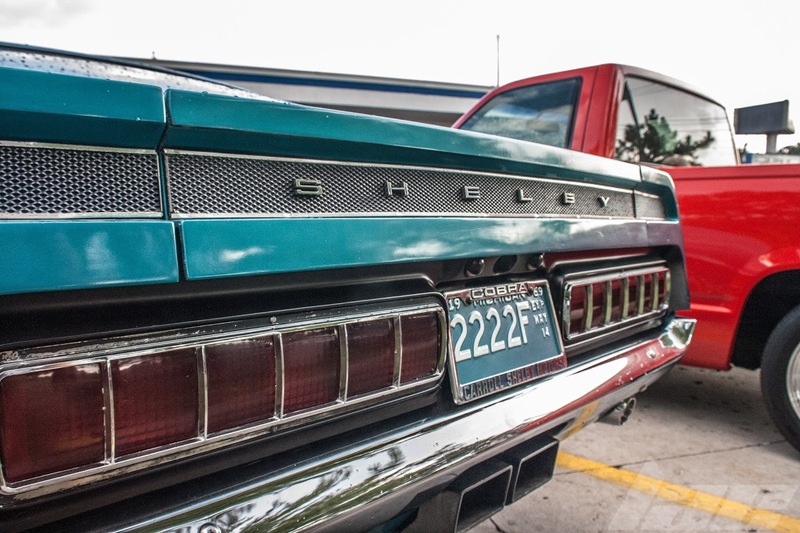 And the lack of Ford and Mustang badging in the rear is pretty cool. 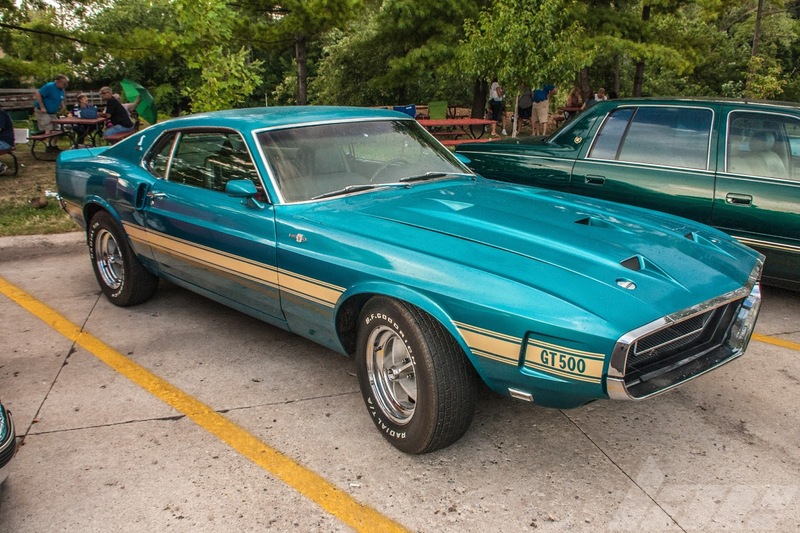 The 1970 GT-500 had the famous 428c.i.d. (7.0L) Cobra Jet V8 making about 335hp and 440lb-ft of torque. 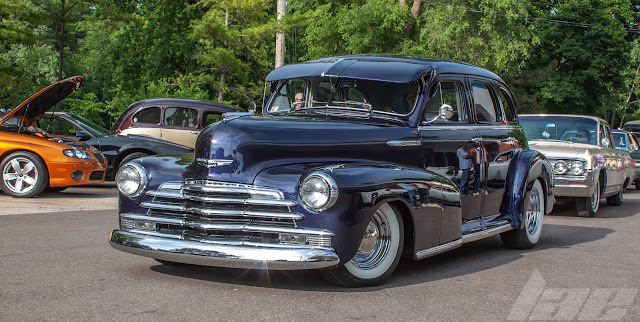 A very nice engine, for sure, but not my favorite feature of the car. That would have to be the interior. 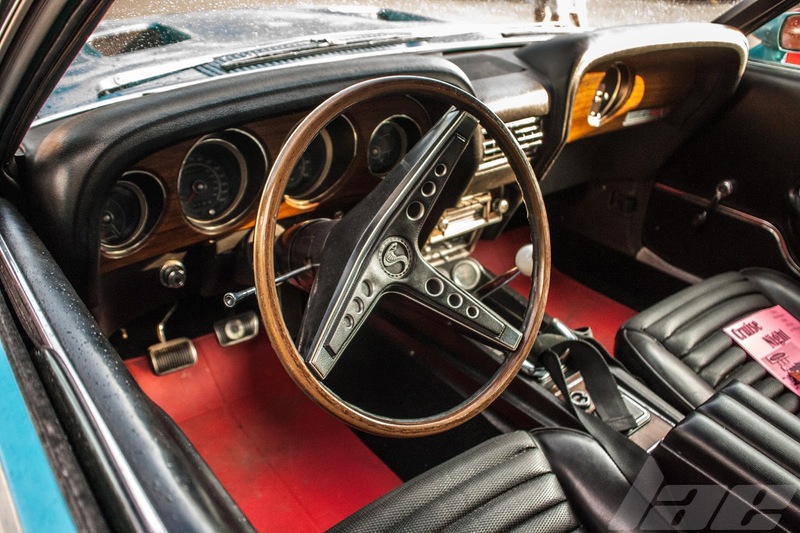 Just look at the red mats, black leather seats, wood steering wheel and awesome 1960's sports-car-styling. I'm not exactly a Mustang guy, but I LOVE this car. Stay tuned for more content soon!